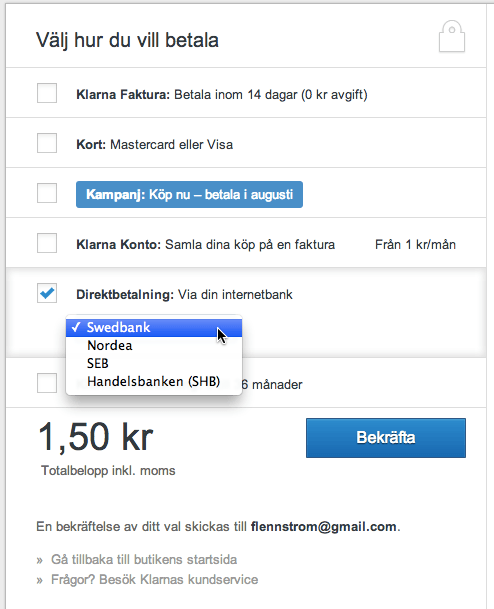 We are pleased to Klarna come forward with their really effective cash Klarna Checkout in Scandinavia. First is Norway and Finland! 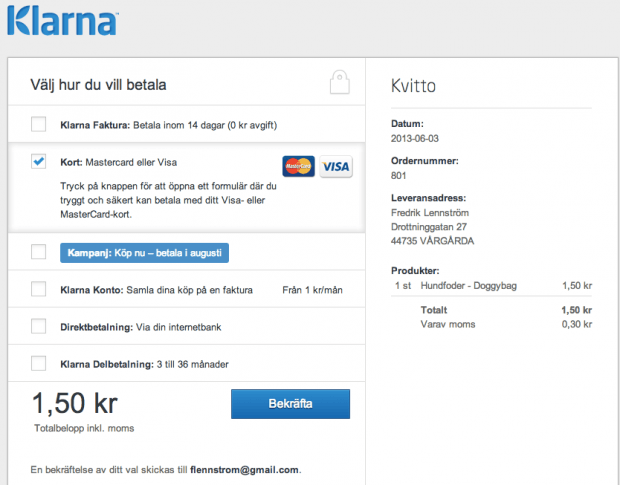 With Klarna Checkout, you can offer your visitors to your webshop a very fast and trouble-free shopping cart / checkout. Joomlaproffs has developed a solution for Virtuemart that we can install on your webshop. We have tested our cash in the latest Virtuemart 2.0.22b and it is possible to supplement the funds by for example PayPal to huh sure to enable the purchase of as many customers as possible. 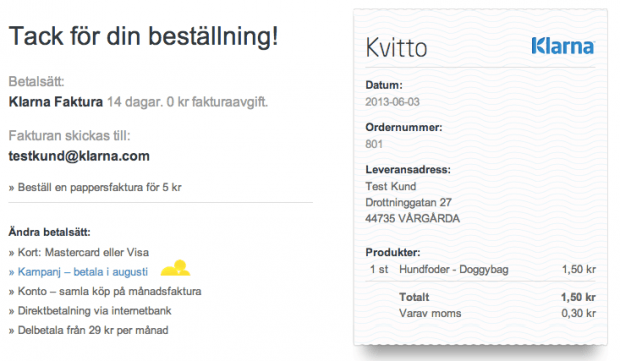 Please contact me if you are interested Klarna Checkout to Virtuemart i Norway or Finland! This is the example of the small details that make the customer's experience of the Treasury gets a little better and feels even smoother. 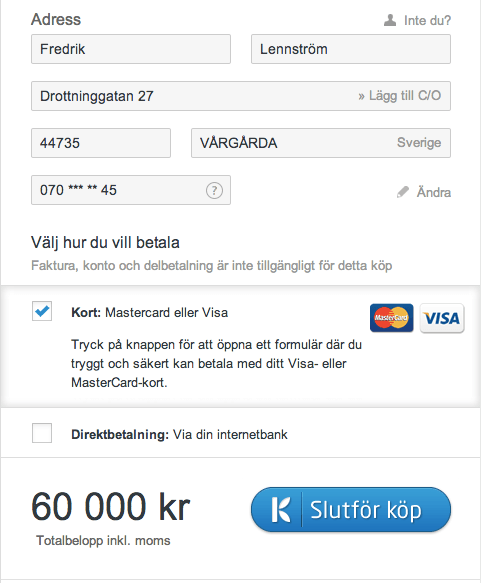 Klarna will continue to listen to your e-tailers and your customers' opinions and adapt Klarna Checkout. The above updates will be available to all Klarna Checkout counters soon!